I guess I should start by saying that I didn’t actually make these muffins – my mom did! =) But they were so good I decided to photograph and blog about them. If you like muffins and blackberries, you’ll love these muffins. They aren’t overly sweet and the oatmeal gives them a little heartier crumb. 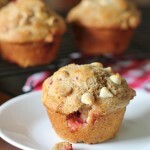 I really like oatmeal based muffins – seems like they are slightly more filling. And since they have oatmeal, they’re healthier, right? 😉 If blackberries aren’t your thing, you could substitute other fruits. I’m thinking raspberries or peaches would be delicious. Enjoy! 1. Preheat an oven to 400 degrees. Grease 12 muffin cups. Whisk the milk, egg, butter, and vanilla extract together in a bowl. 2. Mix the flour, oats, brown sugar, baking powder, baking soda, pumpkin pie spice, and salt in a bowl. Make a well in the center and pour in the egg mixture. Stir until just combined. Gently fold in the blackberries. 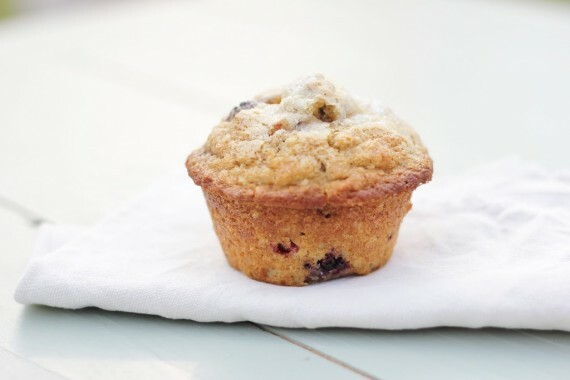 Divide the batter evenly into the muffin cups, and sprinkle with the turbinado sugar. 3. 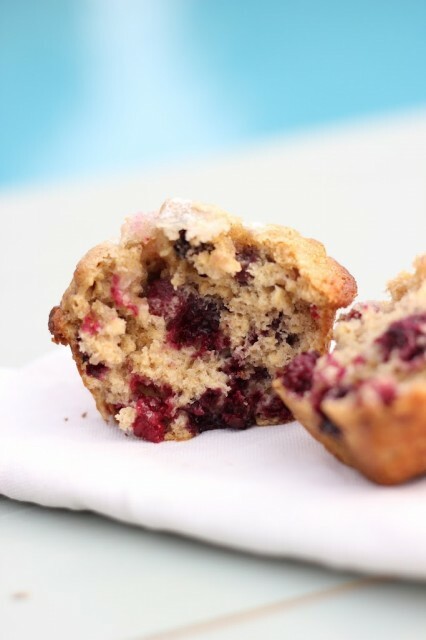 Bake in the preheated oven until a toothpick inserted into the center of a muffin comes out clean, about 20 minutes. Cool in the pans for a couple minutes before removing. Note: If you don’t have turbinado sugar you can substitute regular sugar.